Just when you thought you knew how to get #CaughtUpInTheCountry, Rodney Atkins shows us there’s more than one way to enjoy his hit song. 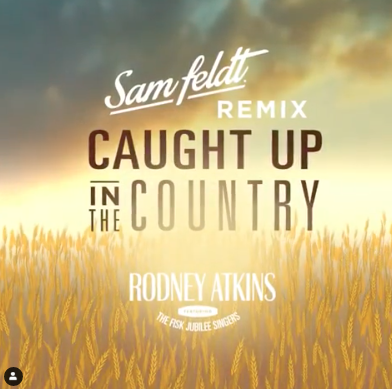 Rodney teamed up with Dutch DJ Sam Feldt to produce a remix version of “Caught Up In The Country”. Listen to it HERE. Caught Up In The Country, the album, will be available everywhere May 10, 2019! Pre-order it now HERE.